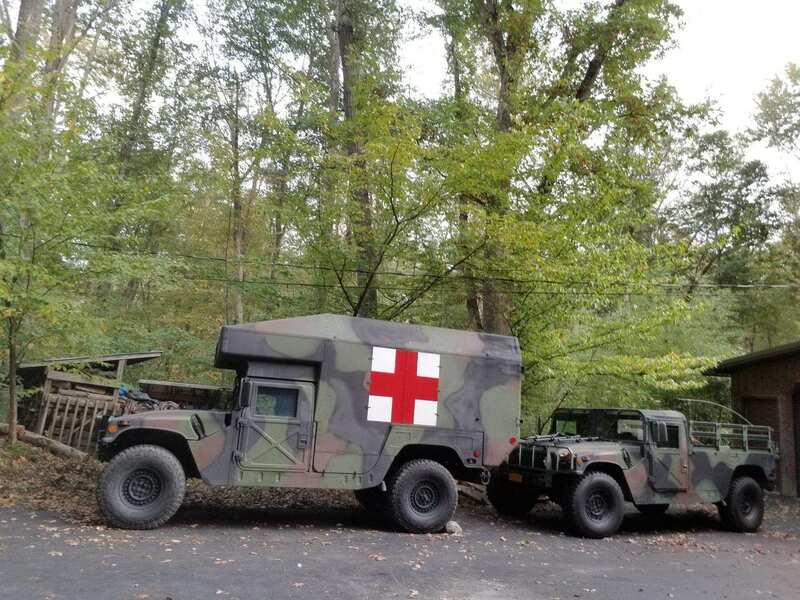 The M997, M997A1, M997A2, and now M997A3 are the Maxi-Ambulance configuration of the HMMWV family that has been in service since 1985. 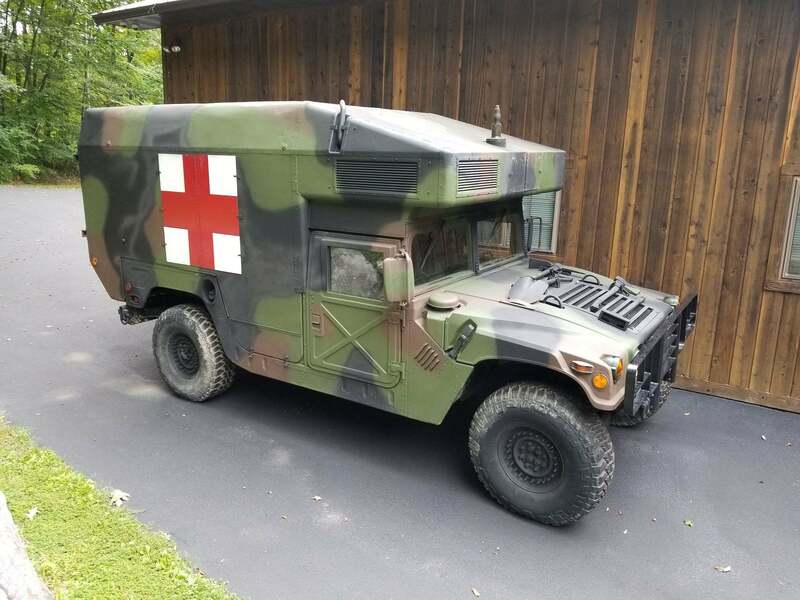 They are equipped with heat, A/C, NBC (nuclear biological chemical), GPFU (gas-particulate filter unit), basic armor, and are used to transport casualties from the battlefield to the medical aid stations. The M997 types are capable of transporting up to 4 litter patients, 8 ambulatory patients, or a combination, with additional medical personnel and equipment. A fully-loaded M997, M997A1, and M997A2 ambulances can climb steep grades and side slopes, and can ford water from three to five feet when properly equipped. There is also a variety of add-on armor with which the M997 may be fitted. This A2 is powered with a 6.5 L, fuel injected V-8 Diesel engine has an upgraded suspension and basic armor which is capable of protecting against small arms fire. 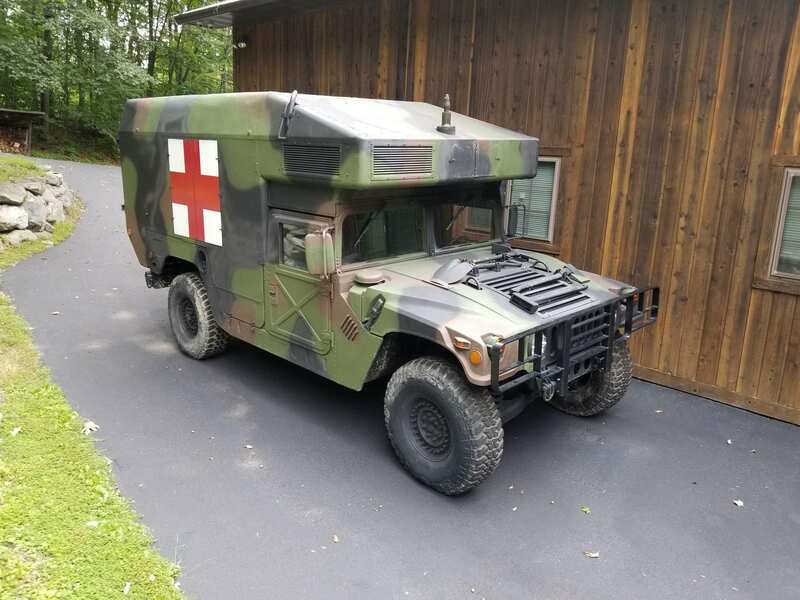 Upon retirement, M997’s and M996’s (two litter ambulances) are often purchased and retro-fitted as campers for further service in the civilian world. This earlier 90’s ambulance is a survivor! It not only went to fight in Iraq, and returned, but most were destroyed by our armed forces rather than endure the effort and expense of return shipping, or if they were brought back most of those were destroyed because the Kevlar armor was deemed allowable for the public.